With the possibility that Turnbull will be the winner of this election, he is already in danger. The Coalition is set to claim at least 74 seats, possibly 76 Turnbull will return to Canberra with reduced majority. If he does make it to 76 he will have lost the Coalition 16 seats. Losing one seat is unfortunate, losing 16 is careless. The political agenda of the Prime Minister has already been made impotent with his tax cuts for big business looking like it won’t make it through the Senate or the House and he won’t have the numbers to get the ABCC through. The very item he gambled the House on. It is not just his political agenda that has been ruined, the Prime Minister’s reputation has also been ruined. They very fact that he had to stand up before the people and accept responsibly for the worse campaign Australia had ever seen, he also had a temper tantrum on the night of the election when it looked like he was going to lose. While he attacked the Labor Party over their Medicare campaign, which was based on actions from the past, he conveniently forgot that the Liberal Party had promised no cuts to education, health or the ABC/SBS. He also forgot about the lies that were told over carbon pricing. The far-right of the Liberal are out for his blood, the DelCons want to exact revenge over the knifing of Tony Abbott. Cory Bernadi is looking into creating his own party to take back the votes Turnbull has lost. The Party is disunited and white hot with anger. At the end of it all, Turnbull gambled the House on an issue that no-one cares about hoping to come back stronger, but instead he has returned weakened with an impotent agenda. 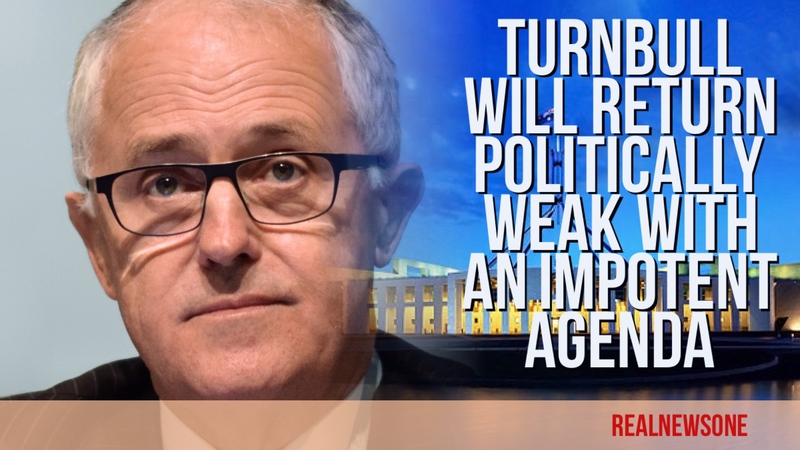 While the final outcome of the election has not yet been decided, it is clear that Australia has firmly rejected Malcolm Turnbull and his agenda, and the Liberals’ big business first approach to government. Australia is now set to be deprived of good government yet again.